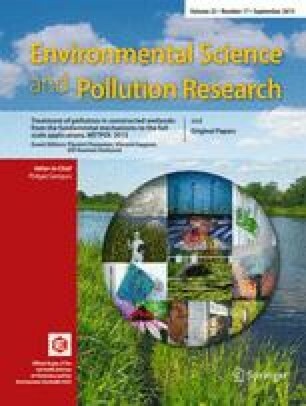 In this study, the concentrations of volatile organic compounds were measured by the use of proton transfer reaction mass spectrometry, together with NO x , NO, NO2, SO2, CO and PM10 and meteorological parameters in an urban area of Belgrade during winter 2014. The multivariate receptor model US EPA Unmix was applied to the obtained dataset resolving six source profiles, which can be attributed to traffic-related emissions, gasoline evaporation/oil refineries, petrochemical industry/biogenic emissions, aged plumes, solid-fuel burning and local laboratories. Besides the vehicle exhaust, accounting for 27.6 % of the total mixing ratios, industrial emissions, which are present in three out of six resolved profiles, exert a significant impact on air quality in the urban area. The major contribution of regional and long-range transport was determined for source profiles associated with petrochemical industry/biogenic emissions (40 %) and gasoline evaporation/oil refineries (29 %) using trajectory sector analysis. The concentration-weighted trajectory model was applied with the aim of resolving the spatial distribution of potential distant sources, and the results indicated that emission sources from neighbouring countries, as well as from Slovakia, Greece, Poland and Scandinavian countries, significantly contribute to the observed concentrations. This paper was realized as part of projects no. III43007 and no. III41011, which were financed by the Ministry of Education, Science and Technological Development of the Republic of Serbia within the framework of integrated and interdisciplinary research for the period 2011–2014. The authors gratefully acknowledge the NOAA Air Resources Laboratory (ARL) for the provision of the HYSPLIT transport and dispersion model used in this publication, as well as the Openair Project.